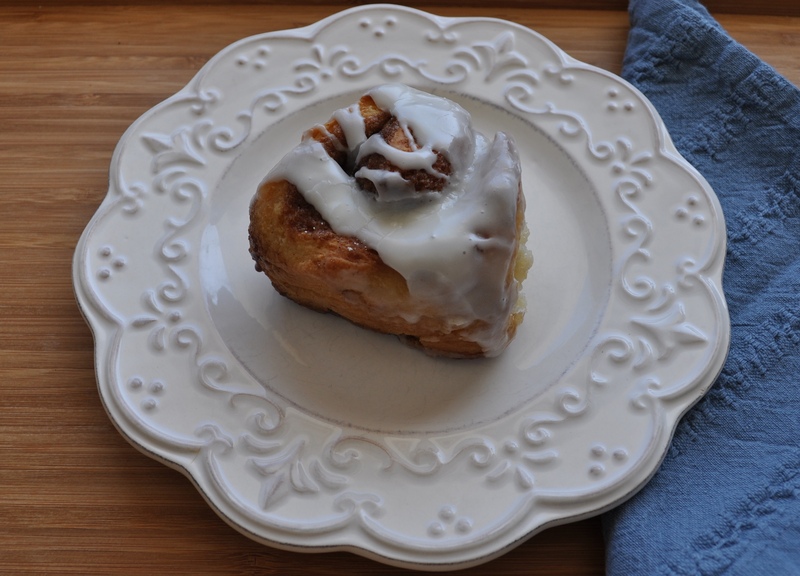 Quick Cinnamon Buns with Buttermilk Icing – Got Nourishment? Lazy Sunday mornings call for homemade pastries, leisurely cappuccino sipping, and casual perusing of The Seattle Times (okay, well mostly just the comics). This recipe is a little more involved than your typical weekday oatmeal or eggs, but the result is definitely worth it! So don’t be intimidated by the length of the directions. Since this recipe is from America’s Test Kitchen, the recipe is practically down to a science in regards to ingredient quantities, technique, and baking instructions. *Side note: The icing directions call for a nonreactive bowl. What is a nonreactive bowl you might ask? I had the same question. Although rather than looking it up, I grabbed an old glass bowl and continued to whisk the icing. When it came time to add the confectioners’ sugar into the bowl, I started sifting and immediately the sugar clung to all sides of the bowl as if avoiding a plague of buttermilk and cream cheese. Ahh, I thought, that’s what they meant. But alas, that was not what they meant! A nonreactive bowl is one that is made of a substance that won’t react chemically with foods placed in it. Reactive bowls are made of metal, such as copper, cast iron, or aluminum. Non-reactive bowls are made of glass or silicone, for example. If you have a scale, I recommend weighing out ingredients that have weight amounts because this is much more accurate than using measuring cups. 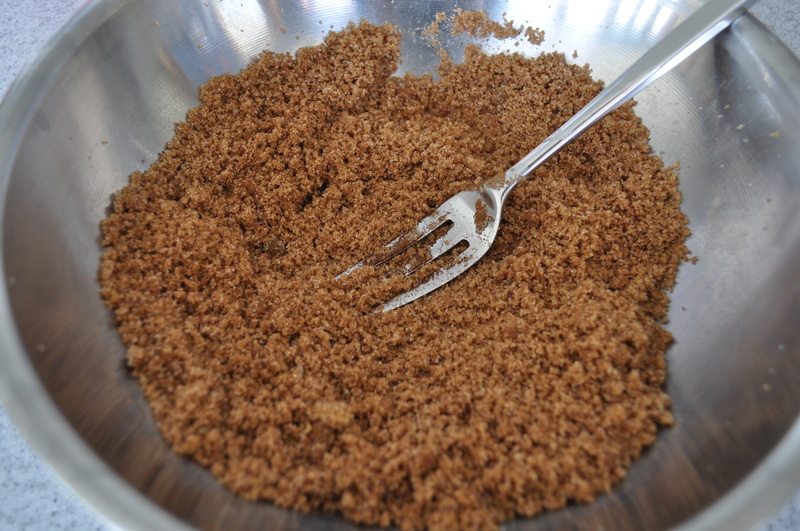 The brown-sugar filling should resemble wet sand once melted butter is mixed in. If butter is still warm, I suggest whisking in the buttermilk slowly to prevent the butter from solidifying into one solid chunk. Dough should become smooth after kneading. Press the sugar filling into the dough firmly. Rolling and cutting the dough was a little trickier than anticipated since the dough was a bit sticky (it was an unusually warm, sunny morning). But do not fret! Be gentle with the dough and even though it may not look great when you stick the rolls in the pan (see picture below), once they bake they will puff up and fill out the pan. Naked cinnamon rolls! This particular recipe directs you to slide all of the cinnamon rolls out of the pan (without pulling the buns apart), but since my pan was not nonstick, that proved almost impossible. I ended up leaving the buns and frosting them directly in the pan, which actually worked great! The result: perfectly fluffy and moist with butter-crisped edges. Adjust oven rack to upper-middle position and heat oven to 425 degrees. Pour 1 tablespoon melted butter in 9-inch nonstick cake pan; brush to coat pan. Spray wire rack with nonstick cooking spray; set aside. 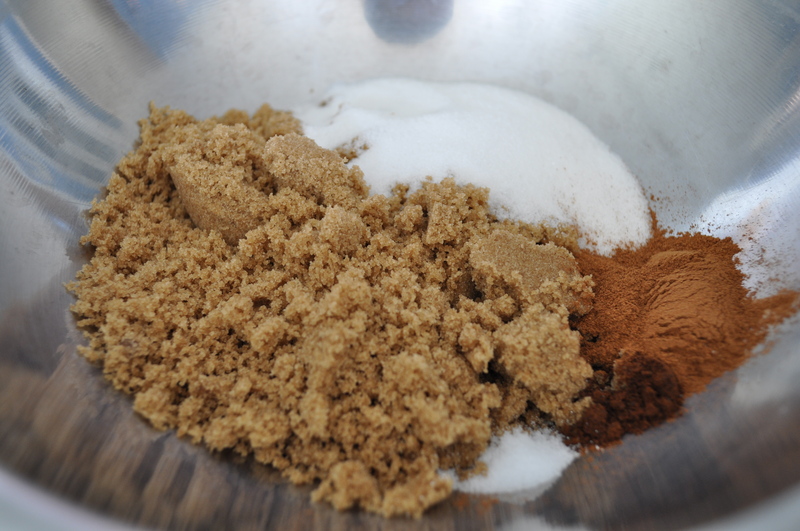 To make cinnamon-sugar filling: Combine sugars, spices, and salt in small bowl. Add 1 tablespoon melted butter and stir with fork or fingers until mixture resembles wet sand; set filling mixture aside. 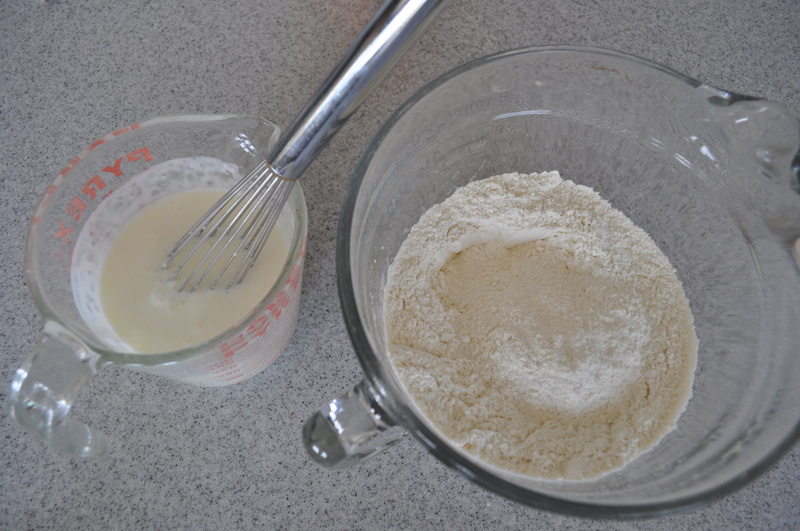 To make biscuit dough: Whisk flour, sugar, baking powder, baking soda, and salt in large bowl. Whisk buttermilk and 2 tablespoons melted butter in measuring cup or small bowl. Add liquid to dry ingredients and stir with wooden spoon until liquid is absorbed (dough will look very shaggy), about 30 seconds. Transfer dough to lightly floured work surface and knead until just smooth and no longer shaggy. Pat dough with hands into 12 by 9-inch rectangle. Brush dough with 2 tablespoons melted butter. Sprinkle evenly with filling, leaving 1/2-inch border of plain dough around edges. Press filling firmly into dough. Using bench scraper or metal spatula, loosen dough from work surface. Starting at long side, roll dough, pressing lightly, to form a tight log. Pinch seam to seal. Roll log seam-side down and cut evenly into eight pieces. With hand, slightly flatten each piece of dough to seal open edges and keep filling in place. Place one roll in center of prepared nonstick pan, then place remaining seven rolls around perimeter of pan. Brush with 2 tablespoons remaining melted butter. Bake until edges are golden brown, 23 to 25 minutes. Use offset metal spatula to loosen buns from pan; without separating, slide buns out of pan onto greased cooling rack. Cool about 5 minutes before icing. To make icing and finish buns: While buns are cooling, line rimmed baking sheet with parchment paper (for easy cleanup); set rack with buns over baking sheet. Whisk cream cheese and buttermilk in large *nonreactive bowl until thick and smooth (mixture will look like cottage cheese at first). Sift confectioners’ sugar over; whisk until smooth glaze forms, about 30 seconds. Spoon glaze evenly over buns; serve immediately.